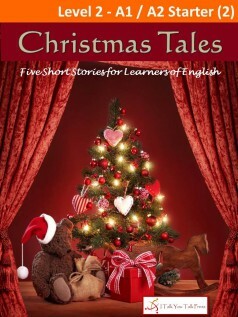 There are five Christmas stories in this book. The stories are heartwarming and sometimes funny. There’s some sadness and loneliness too, but at Christmas every story has a happy ending! Ken is a university student in Tokyo. All his friends are going to a Christmas party. Ken wants to go to the party, but there is one problem. He doesn’t have a girlfriend, and he doesn’t want to go to the party alone. He decides to buy some Christmas cake. When he is returning from the cake shop, he sees a young woman. She is crying. Ken tries to help her, and finds that happiness can come from sadness. Enjoy these stories and two more in Christmas Tales!